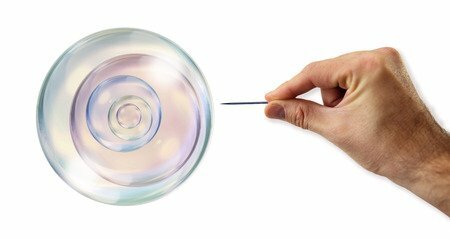 Bubble has become one of the most overused words in finance. If you read the financial media, you would likely conclude that we are currently surrounded by bubbles. Not only are stocks currently in bubble territory, but bonds are also a classic bubble. And don’t even get them started about cryptocurrencies. Even with their decline, they are still commonly referred to as the greatest bubble of all time. Either all of us should just take our money and put it in shoeboxes under the bed or the term bubble is being used a little liberally. But what is a bubble? And how do you know when you are in one? Those are questions that don’t have exact answers, but I think there are some general rules you can use to identify bubbles. And those rules lead to very different conclusions about whether there are currently bubbles all around us. Bubbles are much easier to identify after the fact. That is because the euphoria surrounding them clouds people’s judgment. That is one of the common characteristics of a bubble. There were very few people who thought the late 90s tech bubble was a bubble until it popped. Then it seemed obvious to everyone that it was a bubble. Hindsight bias like that is something you see in every historical bubble. Bubbles also tend to persist much longer than people think. That is why even if you could predict a bubble in advance, there isn’t too much you can do about it. For example, if I told you in 1997 that the stock market was in the midst of a bubble and you sold everything, it would have been a mistake. It would have been well into the ensuing bear market before you got back to break even. Keeping those caveats in mind, there are some general rules that I think can help to identify whether a bubble is present. Cliff Asness of AQR often talks about two criteria he looks for when determining whether a bubble exists for a particular asset class. There is a euphoria surrounding the asset class that leads to a common belief that this time is different and historical rules don’t apply. The late 90s technology bubble met all these criteria. Take a look at this historical chart of the Shiller PE. The Shiller PE peaked at 45 in that bubble, which was 50% greater than what had ever occurred before. If you plug that type of valuation into any system that predicts returns over the next decade, you end up with negative projected future returns. And there was certainly no shortage of euphoria at the time, and a belief that the rules of the past no longer applied was prevalent. But are those same things true today? Let’s take a look a stocks, bonds and cryptocurrencies to see. Stocks are pretty clearly not a bubble, even if you look at them prior to the recent decline. The Shiller PE ratio is not only not 50% above what we have ever seen before, it is actually well below what we saw in the late 90s. And this bull market has been notable for the lack of euphoria that has surrounded it. So the criteria for a bubble haven’t been met. That doesn’t mean the market is cheap – it certainly isn’t. That also doesn’t mean there won’t be a significant decline – there very well could be. It just means that we are not in a situation where losses are inevitable, and that is what a bubble entails. Bonds also don’t meet the criteria of a bubble. 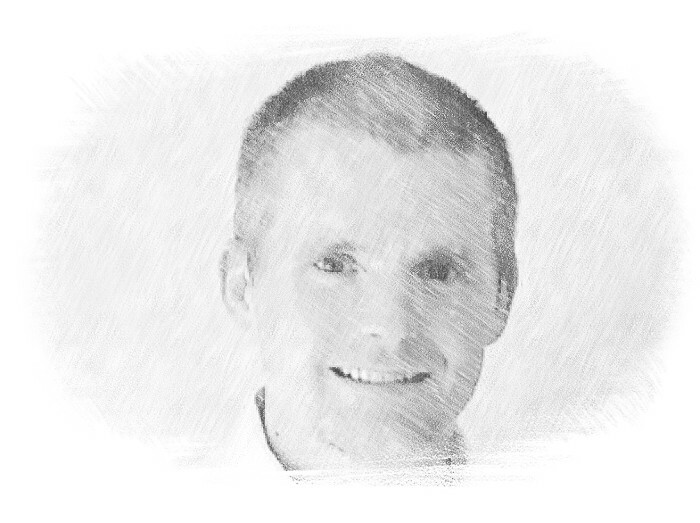 The current extended period of low rates has been unlike anything that has occurred historically, but it isn’t so far outside of it that positive returns from here are very unlikely. In fact, the best way to predict future bond returns is to use the current yield, which implies that likely returns from here are low, but positive. That isn’t what you see in a bubble. There also is certainly no euphoria surrounding bonds. You may run in different circles than I do, but I haven’t heard anybody expressing extreme excitement about what is going on with their bond portfolios. Cryptocurrencies are a much tougher case. They haven’t existed for a long time, so there is no history to compare them to. But you can look at other bubbles in history to get some perspective. This chart that Goldman Sachs put out recently, does exactly that. 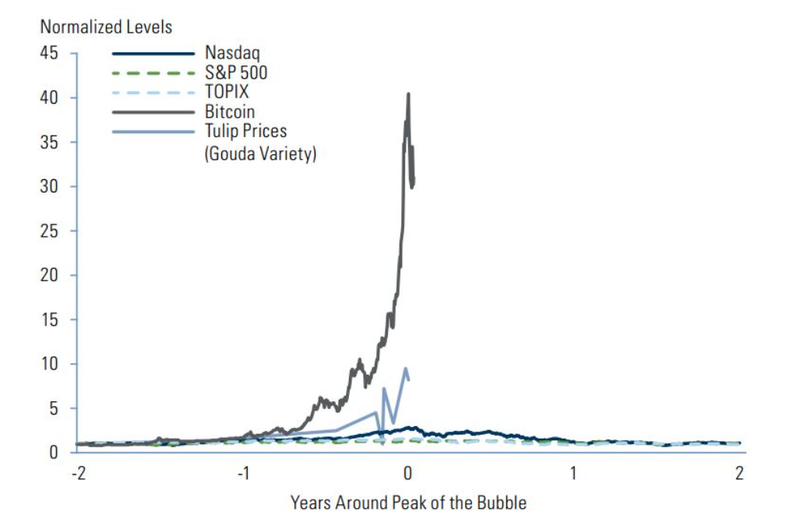 As you can see, the returns of cryptocurrencies dwarf the returns of any other bubble in history. That is even true after the recent decline. There is also a significant amount of euphoria within the cryptocurrency community and a belief that this time is different and the rules of asset valuation that have applied historically don’t apply here. The likelihood is that cryptocurrencies are currently in the midst of a bubble. But that doesn’t mean they are going to collapse any day. It also doesn’t mean that certain cryptocurrencies might not perform very well going forward. It just means that as a whole, they are likely in bubble territory. As an example, consider the late 90s stock market bubble. It was driven by large growth companies, but small-cap value names did not participate for the most part. And when the bubble popped, those large-cap growth names led the way, but small-cap value didn’t decline at all. So even though there was a bubble in stocks, it didn’t mean all stocks were going to decline. The same could be true for cryptocurrencies now. The popping of the cryptocurrency bubble could mean that most of the assets in the space are going to decline or go away entirely, but a select group will not only survive, but thrive. What does all of this mean for investors going forward? Likely not much. Even if you could define bubbles in advance before they pop, predicting when they will pop is next to impossible. As always, the key is having a long-term plan that makes sense and that you can stick with during the ups and downs. But it is important to understand that fear is a driver of a lot of bad decision making in investing and the overuse of the term bubble tends to stoke that fear. So next time you hear that a particular asset class is in bubble territory, take it with a grain of salt. Bubbles are certainly something you want to avoid, but they are also very rare and very hard to predict in advance, so changing your investment plan in response to predictions of bubbles is likely a losing game.